Tom Sutcliffe and his guests writers Miranda Sawyer and Francis Spufford and musician Pat Kane review the week's cultural highlights, including Reasons to Be Pretty by Neil Labute. Tom Sutcliffe and his guests writers Francis Spufford and Miranda Sawyer and musician Pat Kane review the week's cultural highlights including Reasons To Be Pretty. 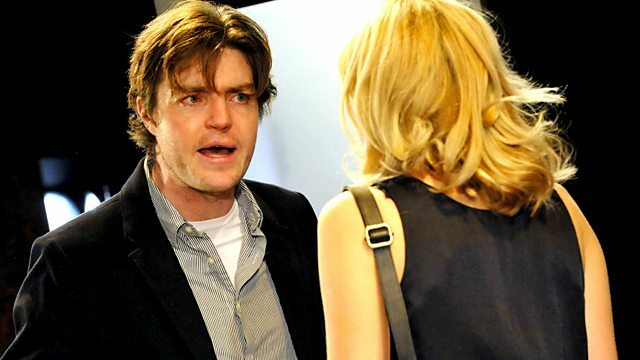 Neil LaBute's play Reasons To Be Pretty at the Almeida Theatre in London concerns the fallout from a casual remark that Greg (Tom Burke) makes to his friend Kent (Kieran Bew) about his girlfriend Steph (Sian Brooke). He says that prettiness isn''t everything - although Steph has a 'regular' face, he wouldn't swap her for a million dollars. Kent's wife Carly (Billie Piper) overhears this and reports back to Steph who does not react well. Snowtown is director Justin Kurzel's debut feature and is based on the crimes of Australian serial killer John Bunting, played here by Daniel Henshall. Bunting was convicted of the murders of 11 people in a suburb of Adelaide. Seen through the eyes of abused teenager Jamie (Lucas Pittaway), the film shows how Bunting gradually co-opted the local community into becoming complicit in his crimes. Deborah Warner's production of Tchaikovsky's opera Eugene Onegin at English National Opera stars Audun Iversen in the title role - a big city dandy who toys with the affections of impressionable young country girl Tatyana (Amanda Echalaz) and relieves his boredom by provoking his friend Lensky (Toby Spence) into challenging him to a duel. Mathematical genius Alan Turing is the subject of the Channel 4 drama documentary Britain's Greatest Codebreaker. The documentary sections assess the impact of Turing's visionary ideas about computers and these are interspersed with dramatised episodes from Turing's (Ed Stoppard) sessions with psychiatrist Dr Franz Greenbaum (Henry Goodman), following his conviction for gross indecency. 50 Words For Snow is Kate Bush's first album of new material since Aerial in 2005. The seven songs - thematically linked by snow - feature contributions from Bush's son Bertie, Sir Elton John and Stephen Fry.